We offer 2 types of Canvas depending on your needs. Each is typically UV printed 1000 DPI. This is a more traditional Natural Canvas Banner that you would that is excellent for portraits, and artwork. It has a unique texture and rougher finish. An overall beautiful product, printing on cotton canvas portrays a very vivid look. Think Instagram filters! Maximum 5 feet x 50 feet. They also have a very natural canvas look and feel. They are thinner. The benefit of using synthetic canvas as it can look less like an oil painting and more like your corporate branding. Max 8 feet wide x 50 feet. Prints beautifully! We can print canvas backdrops up to 8′ x 50′. These are perfect for framing or hanging in a retail setting. 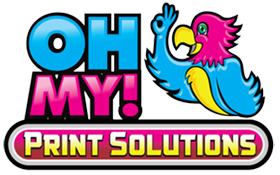 It is a beautiful alternative to typical vinyl banner printing. Large format canvas prints can be used for wedding portraits, family pictures, nature scenes and more. You can stretch the fabric over your frame. High quality and low priced UV Protected large format canvas printing will look amazing for years to come. High resolution will ensure stunning results. They are printed on an inkjet printer with eco-solvent inks typically at 1000 DPI, on a poly-synthetic canvas or a more natural cotton canvas. We can print up to 8 feet wide with no seams with synthetic canvas or 5 feet wide for natural cotton canvas. Your wedding photo, cityscapes, retail applications, logos and more. We also offer canvas banner printing which looks amazing with our bamboo banner stands and Bamboo X Frames. Your choice of grommets, pole pockets or both. No extra charge. USA, California, Texas, New York, Seattle, Texas, Florida, South Carolina, Australia, Europe and worldwide.